Want it by Tuesday 23rd April? Order within 1 day, 28 minutes and choose Next Day Signed For (Special Delivery) at checkout. 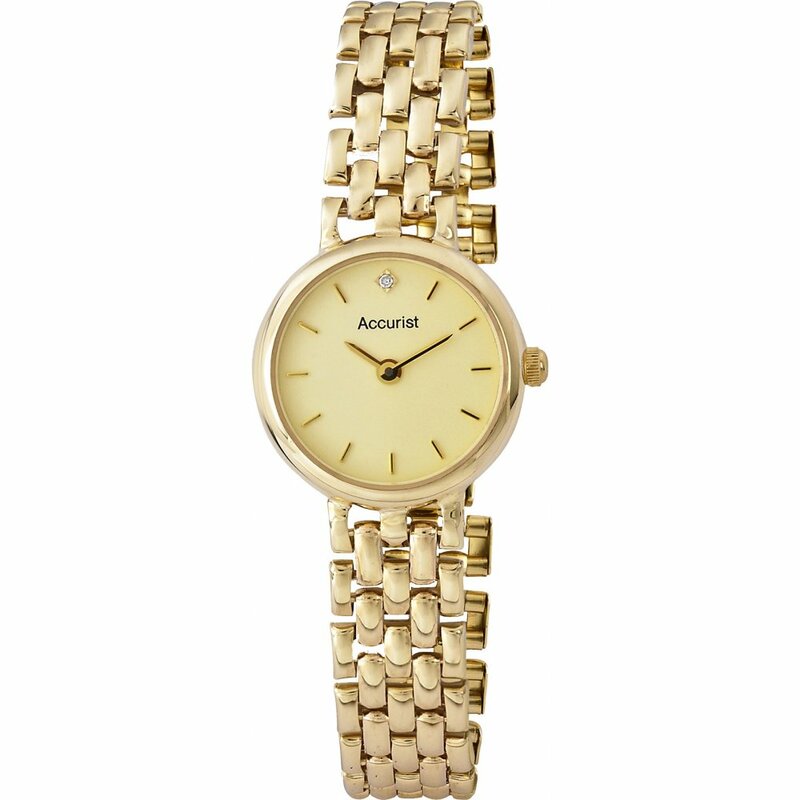 Ladies attractive dress watch powered by quartz movement in 9ct yellow gold case and bracelet with champagne dial and gold coloured hands with crystal accent. An ideal watch for both day and evening wear. Comes complete with 2 year guarantee and Accurist presentation packaging.